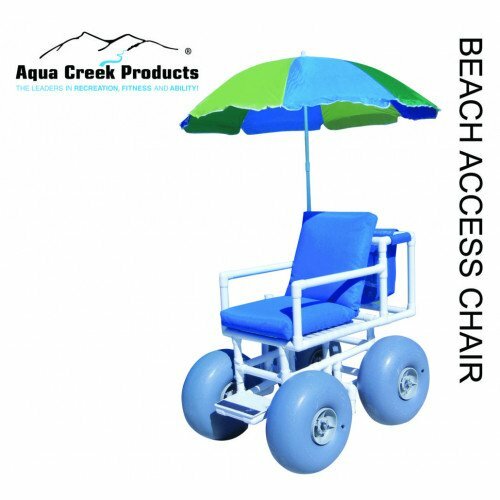 The Beach Access Chair, by Aqua Creek Products, grants access to sand, snow, and soft soil environments. 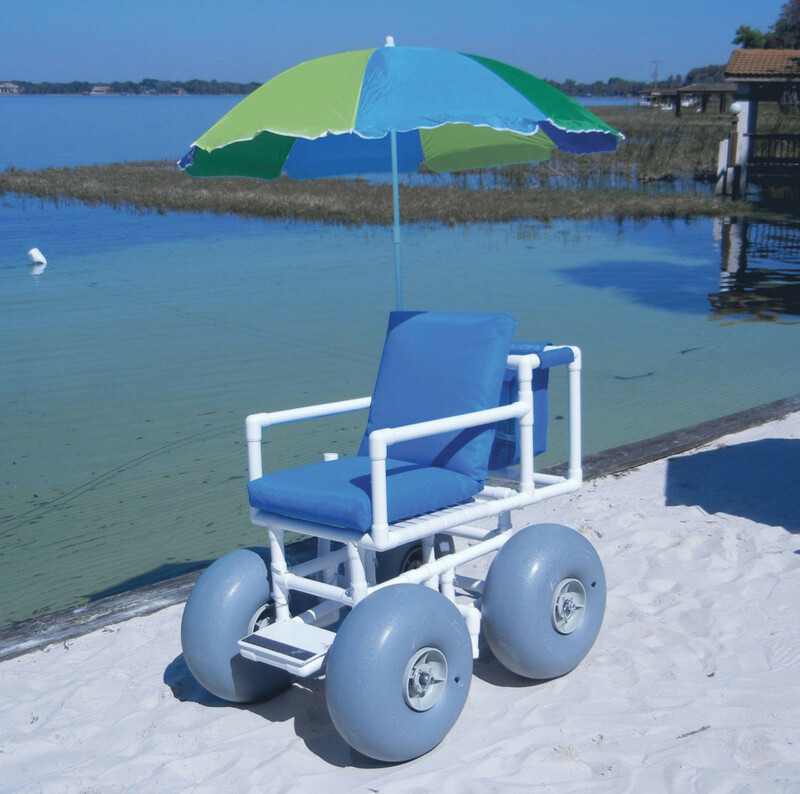 This sturdy, lightweight, and all-terrain wheelchair features balloon flotation, puncture resistant, and non-corrosive tires for long-term stability and resistance to tipping. Made high-quality, UV-protected PVC, this chair easily withstands salt water, and it won’t chip, peel, rust, fade, or discolor. You can easily dissemble the chair, with the use of quick release pins, for transports. 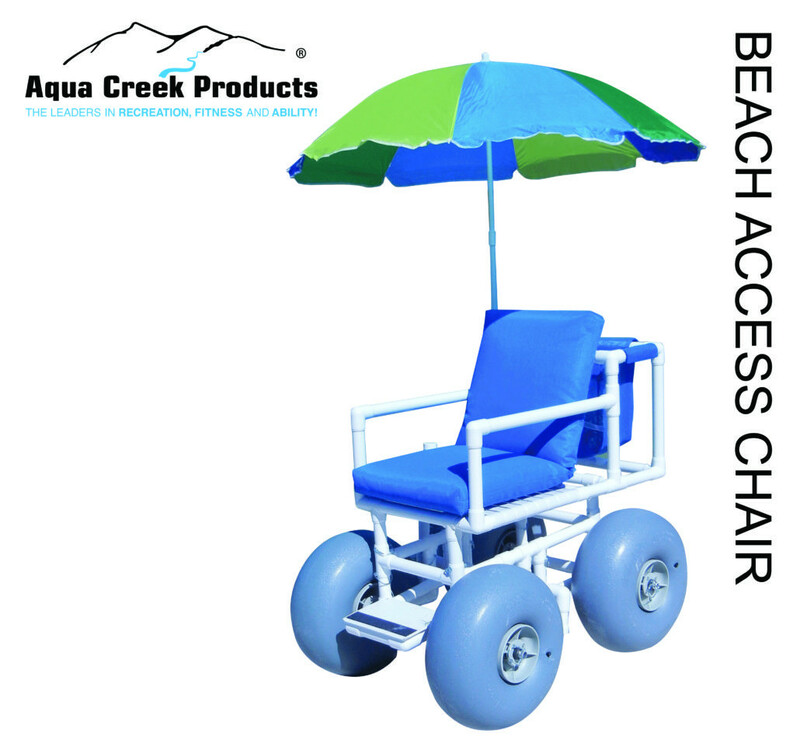 The Beach Access Chair ships in 2 boxes for easy transport.